The purpose of this project is to incorporate employability skills (teamwork, problem solving, verbal communication, written communication, dependability/work ethic, and planning and organizing skills) into activities that focus on designing and building a drone. Activity 1: Drone design and parts manufacture/procurement. (Option A): Design of drone and production of specified components with the use of Solid Works software and 3-D printers. 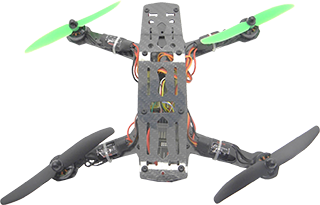 The project teams will execute the design and production of specified drone parts. (Option B): Project teams will select a standard commercial drone design and procure commercially manufactured parts needed to complete drone assembly. Activity 2: Drone assembly. Project teams will assemble the different parts of the drone. Activity 3: Prepare for end-user/consumer. Creation of instructions for safe operation of the drone. Activity 4: Professional presentation. The project team will deliver a formal presentation to the project supervisor for final approval of the drone to be placed into service.